Exquisite expanded ranch with 6,000+ feet of living space. Set on 10.73 acres with in-ground salt-water pool, tennis court, and barn for entertaining or to house the car enthusiast's collection. 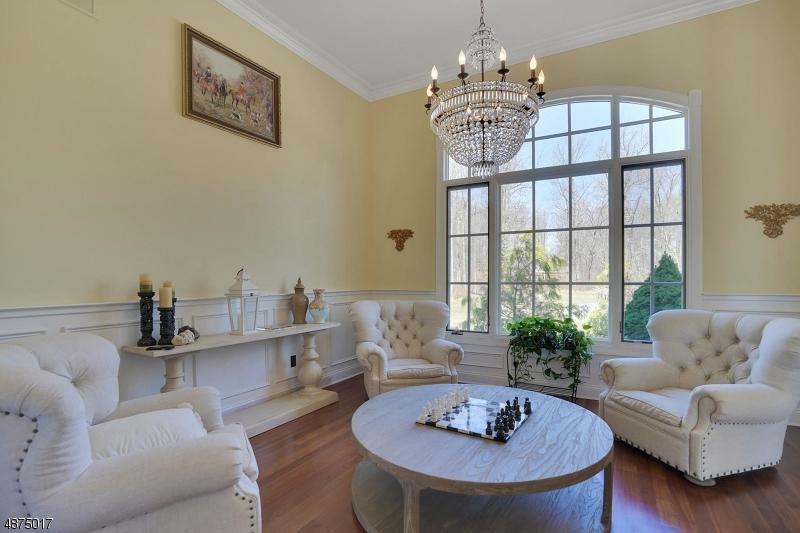 Gracing this home are Brazilian cherry floors, soaring 10' ceilings, detailed custom moldings and millwork, architectural columns, arched doorways, and walls of windows. 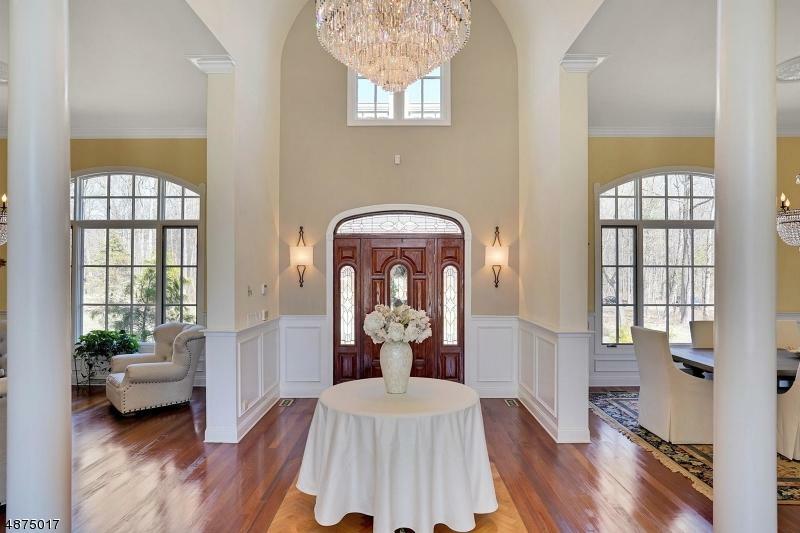 Palatial Great Room with fireplace, elegant formal Living Room and Dining Room, gourmet chef's Kitchen with AGA range cooker, granite countertops, and expansive island. Second Level offers full second residence with living room, dining room, kitchen area, bedroom, and ample storage with access from back staircase or private entry from the 4-car garage. Finished basement with multiple spaces for entertaining and storage.